The strings and belly system is where tuning happen. We include dampers here because they are in contact with the strings at rest. We check the integrity of the soundboard, bridges, pinblock, late, tuning pins and strings. Your technician is observing with hearing and touch as well as sight. 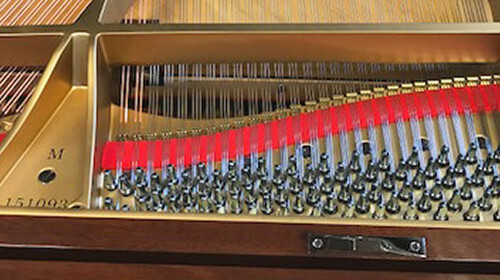 We check the pitch of the piano, pluck strings to determine which noises may be coming from the belly without involving the action and keys. From here we move to trapwork which includes the pedals and all the mechanisms involved with lifting dampers, shifting the action, etc. Next we check the action, first by playing every note! We can tell a lot about the condition of the action by the way the keys respond to touch. We look inside and determine among other things, the condition of the hammers and whether it is appropriate to surface hammers or if it is time for them to be replaced. The case is checked to determine what can be done to enhance the beauty of the instrument. The keys are extremely important because they are whe you touch when you play and they invite you to play. We want them to look beautiful and they must have the correct alignment and travel distance for the action to do its job. 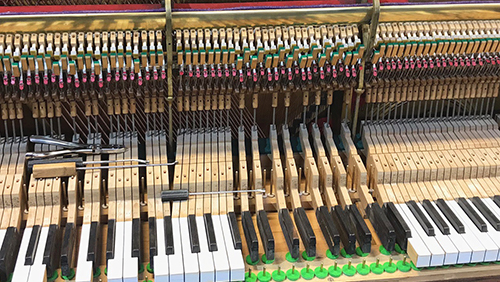 When we have completed the evaluation we recommend appropriate work, always keeping in mind the value added to the aesthetics and functionality of the piano. Here are some examples of services we provide. 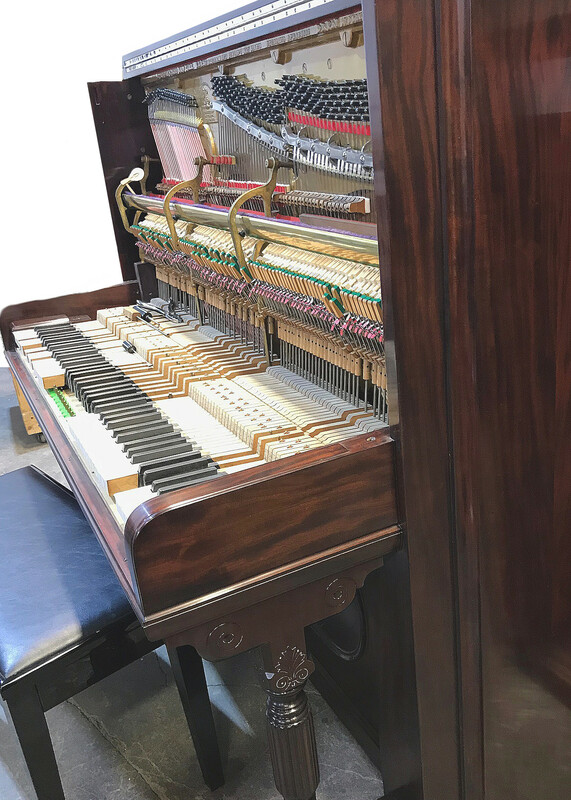 Finally, before delivery, it is played and checked by our pianists and technicians to make sure it is sounds its best and feels its best before it is ready to go home. And our service doesn’t end when the piano goes home. 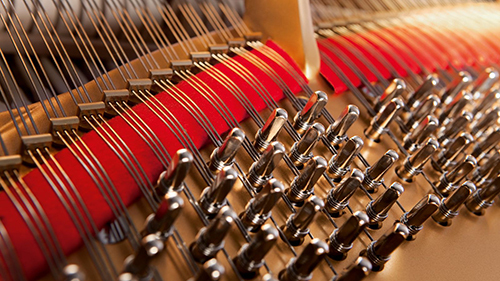 If you are not thrilled with your piano, we are just a phone call away and we are more than happy to make things right.